Powerplants are celebrating their 25th Anniversary this February. 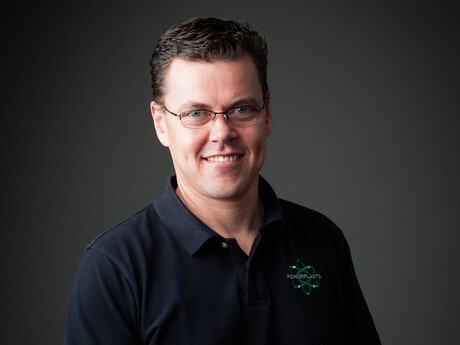 Founder Carl Van Loon, whilst working in his family’s nursery business, realised that people who understood greenhouse technology were very rare, giving him the inspiration to solve this problem for the Australian horticulture industry. Carl studied Mechanical Engineering and then transferred across to Horticulture. During his study at Melbourne University he spent seven months in Holland gaining experience in the European market. It was during this trip to Holland that Powerplants was born. Carl returned to Australia in 1994, registered the business name Powerplants and started operating the business from his bedroom. Supported by family members David and Trish van Loon, the hunch proved correct and there was a hungry market for experience and technical understanding. 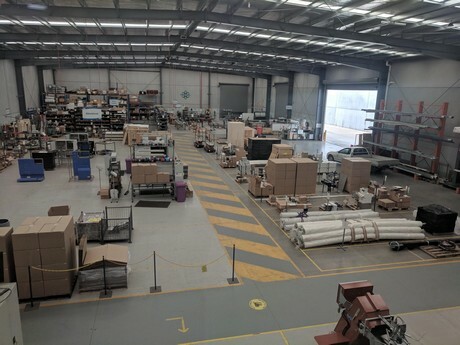 Fast forward 25 years and Powerplants is a successful Australian owned company employing 45 full time employees and contractors. Powerplants have a number of experienced Priva Technicians as well as Screen Installers, ‘A’ grade electricians, Mechanical and Electrical Engineers, Draftsmen, a great Sales Team and top Administrators. Carl also prides himself on the companies that Powerplants chooses to partner with including top European suppliers such as Priva, DeGier, Svennson, Alweco, Holland Scherming, Javo, Flier, Da Ros, Bosman van Zaal, Philips, and IDM to name a few. Another of Carl’s passions is manufacturing locally. Powerplants manufactures Climate Control Computers, Fertigation and UV Sterilisation equipment, Circulation Fans, Ebb & Flood Benches, Fogging Systems and Electrical Control Cabinets. Last year Powerplants exported over a million dollars’ worth of UV Disinfection systems to Canada though US company Urban-Gro. Carl’s philosophy is always to look at the long term relationship with growers and suppliers, not the short term profits. ‘We have always focused very strongly on the needs of our customers and ensuring that they are happy with any project that we undertake, I have found if the clients are happy, the profits usually follow’, he said.